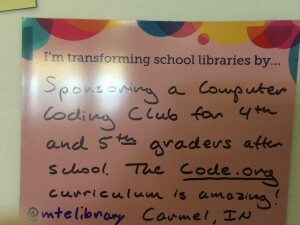 I saw it as soon as I entered the convention center door. 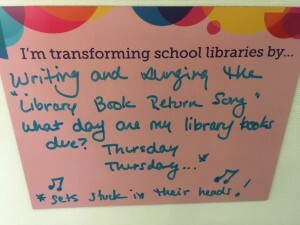 Helllllo! Immediately, I had this sense that I was going to experience another great conference. Conferences are often a time for us to hear from those who (1) attempted it (whatever the innovative “it” was); (2) succeeded at it and (3) then actually had time to write up a conference proposal. 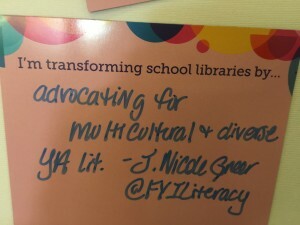 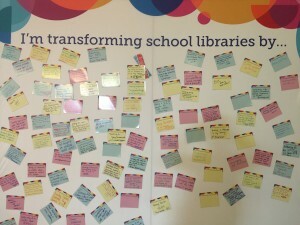 However, this participatory display gave ALL SCHOOL LIBRARIAN ATTENDEES an opportunity to share. 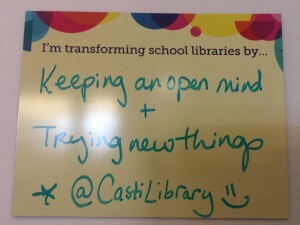 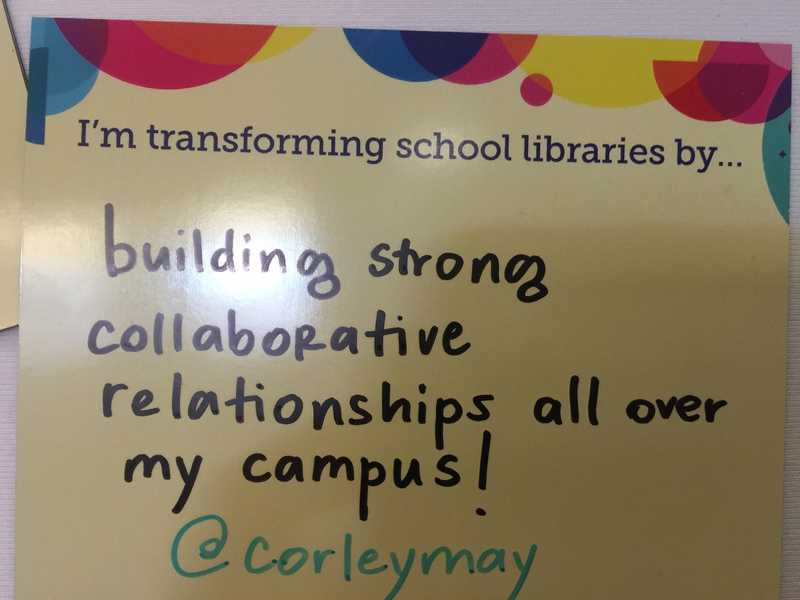 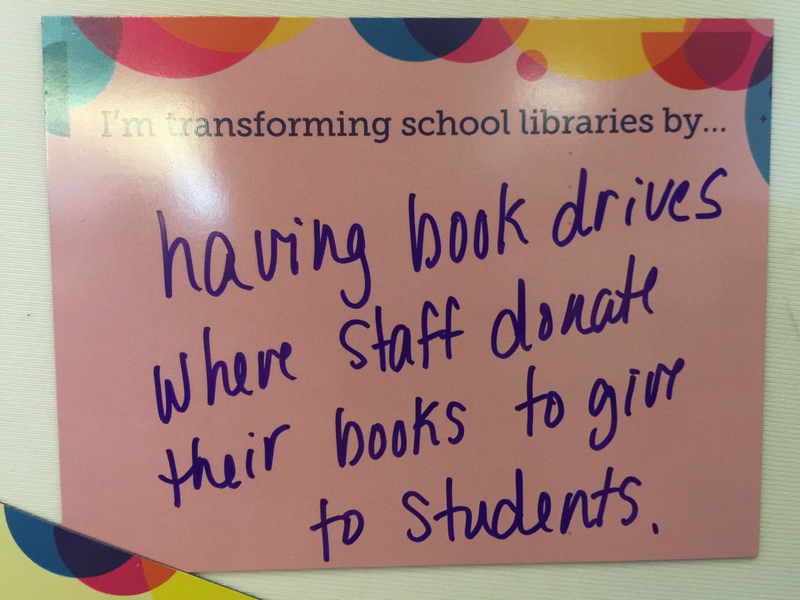 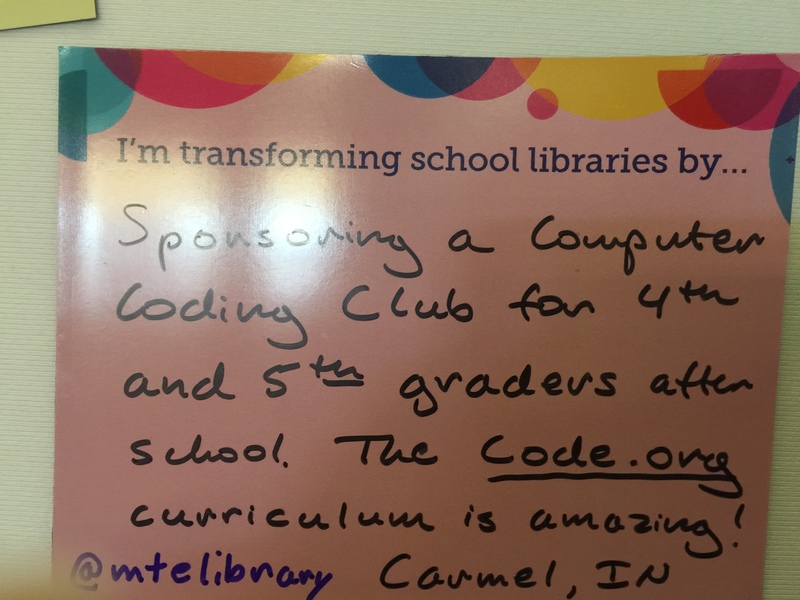 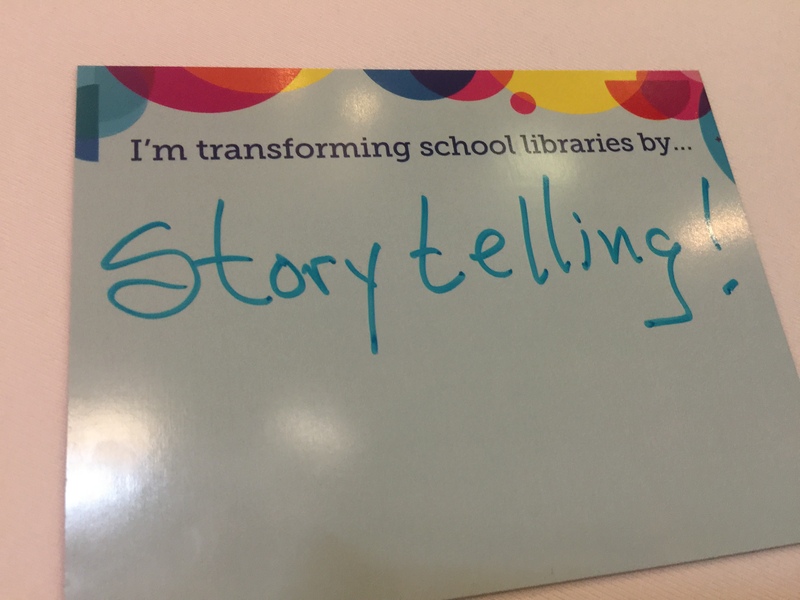 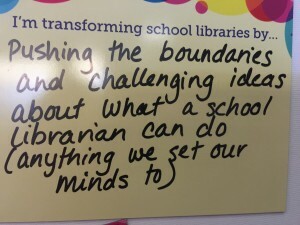 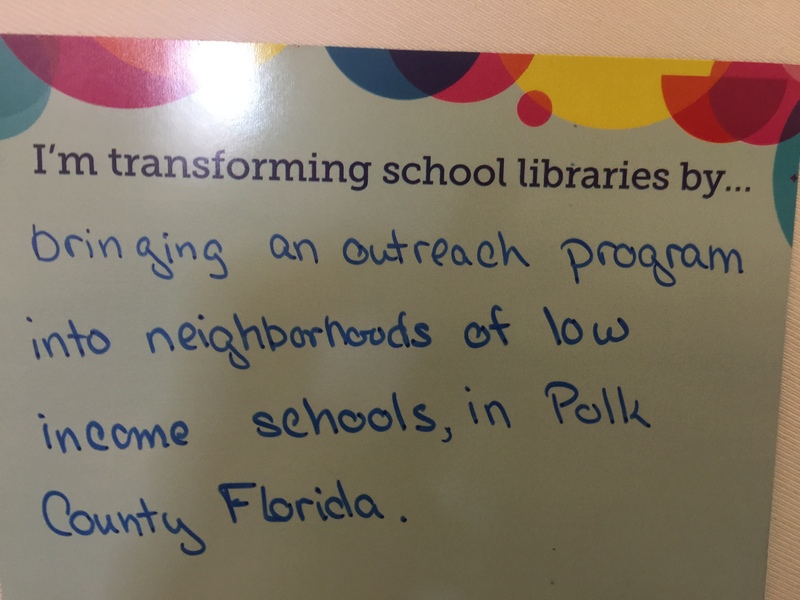 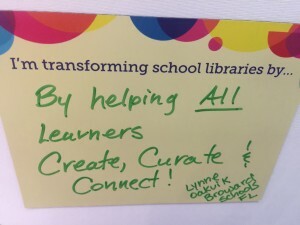 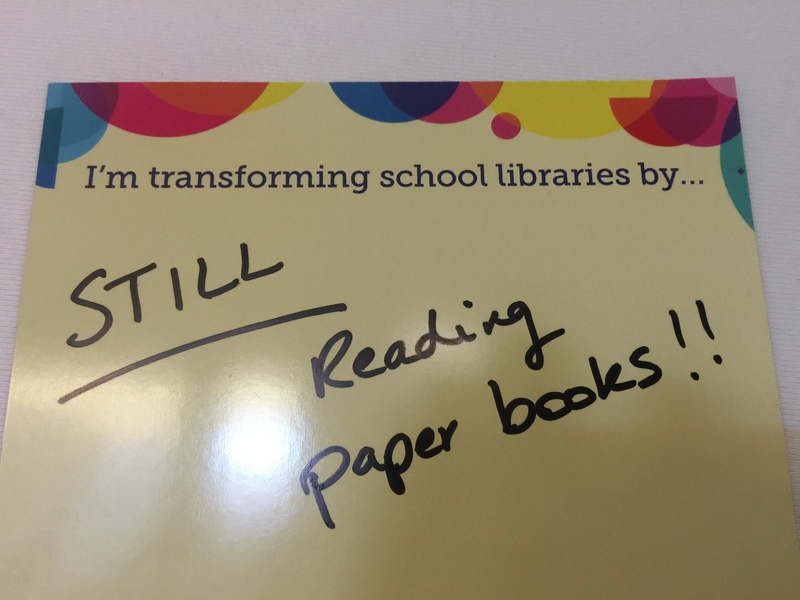 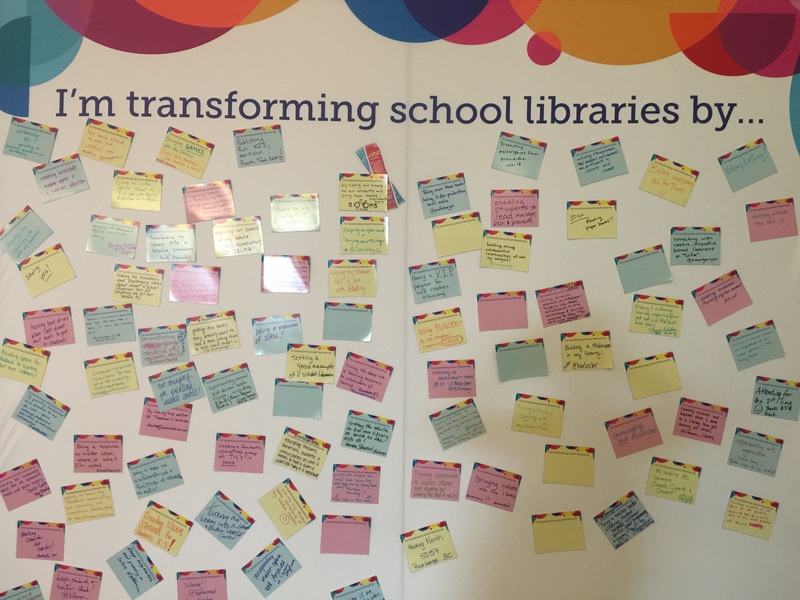 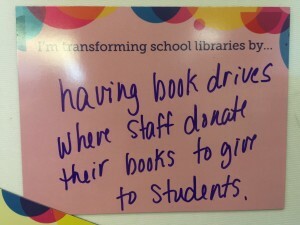 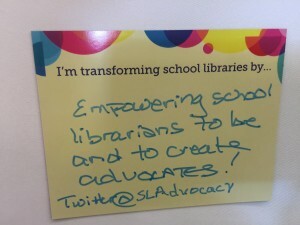 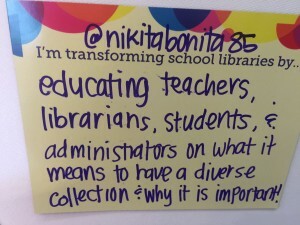 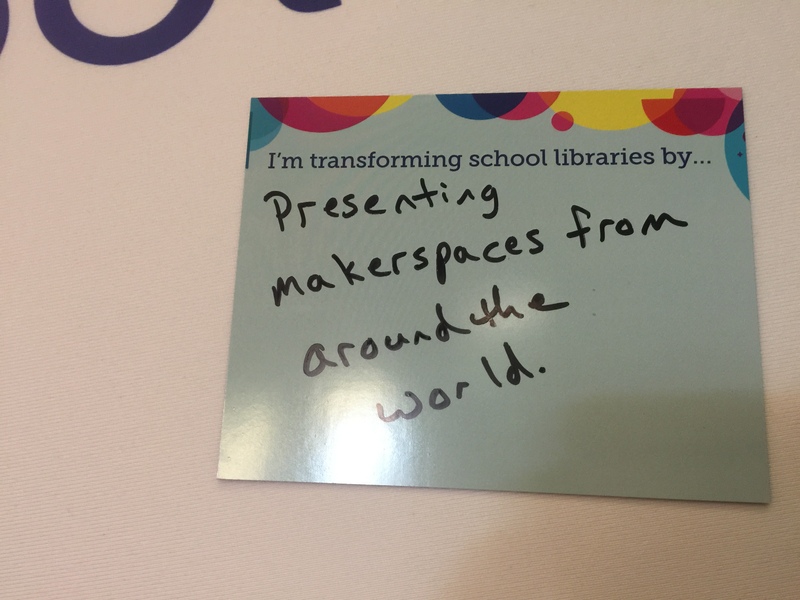 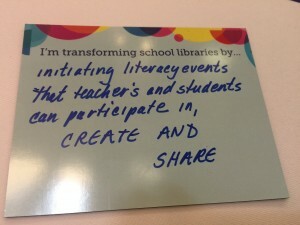 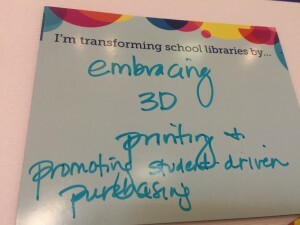 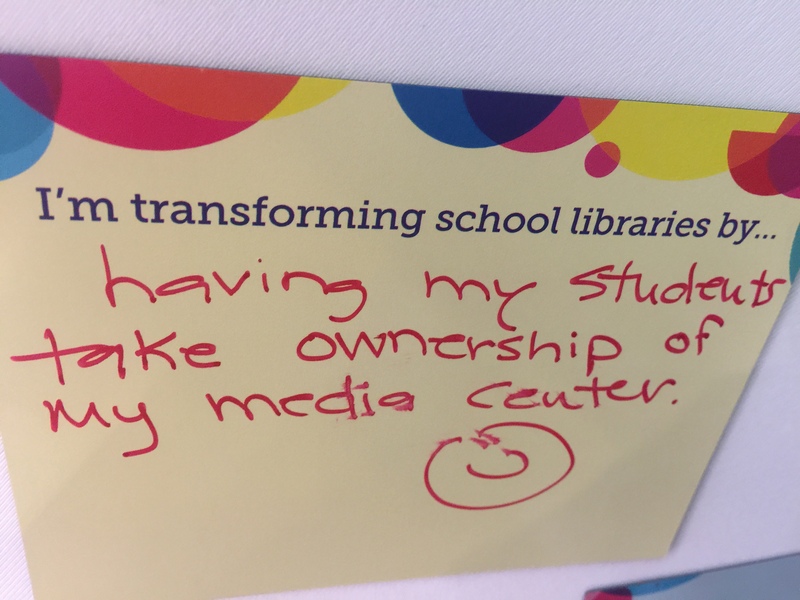 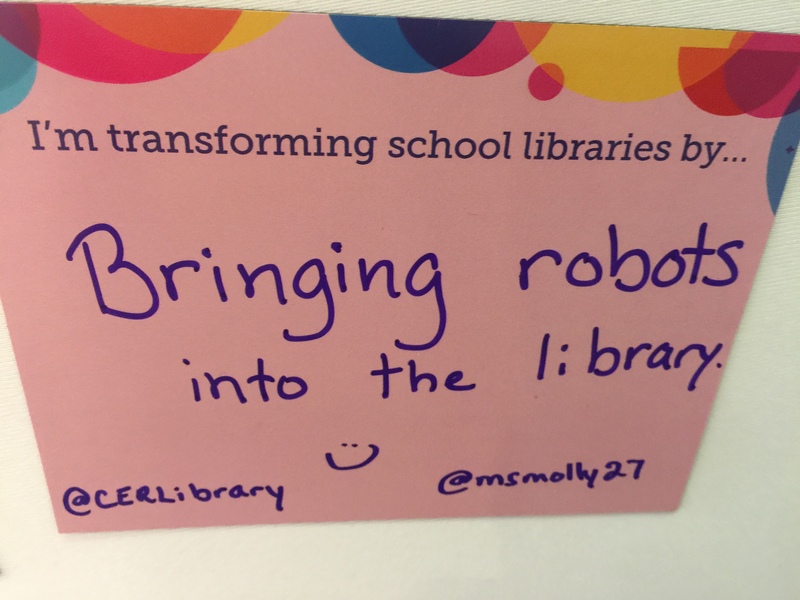 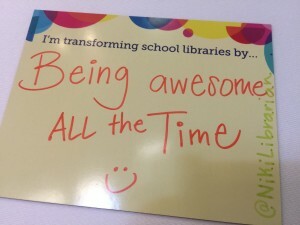 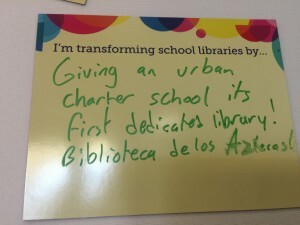 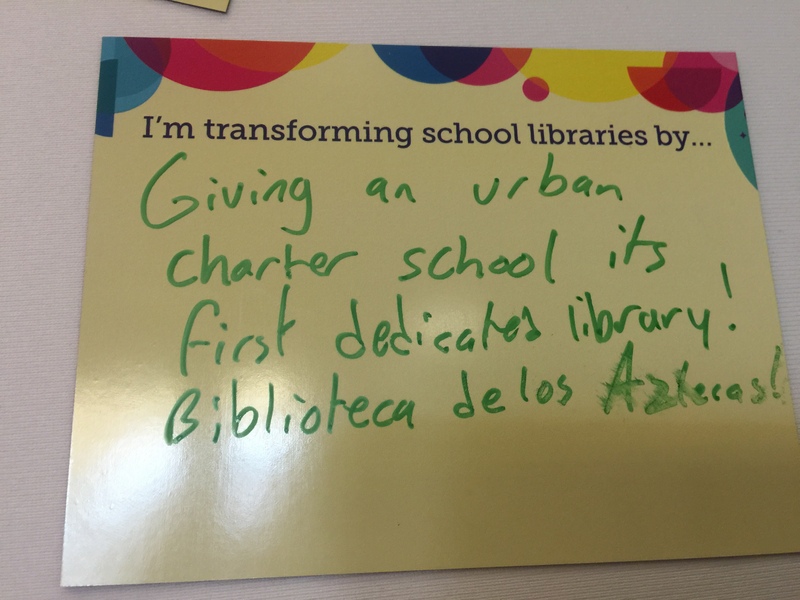 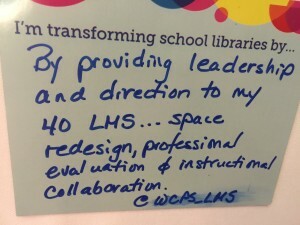 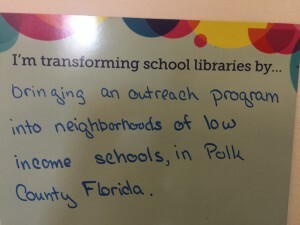 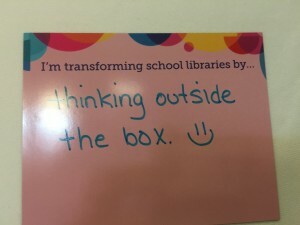 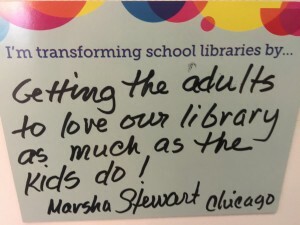 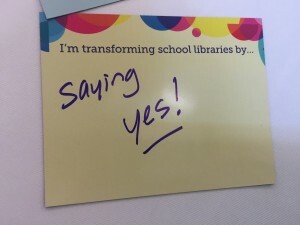 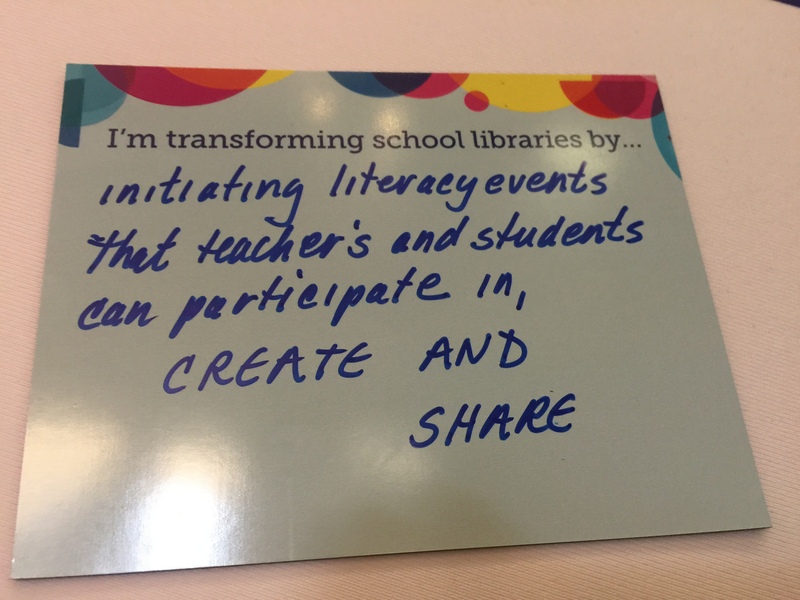 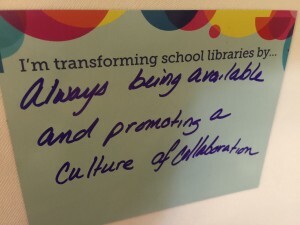 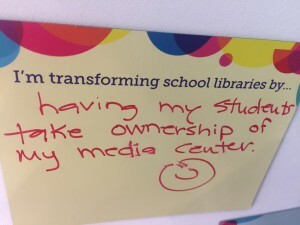 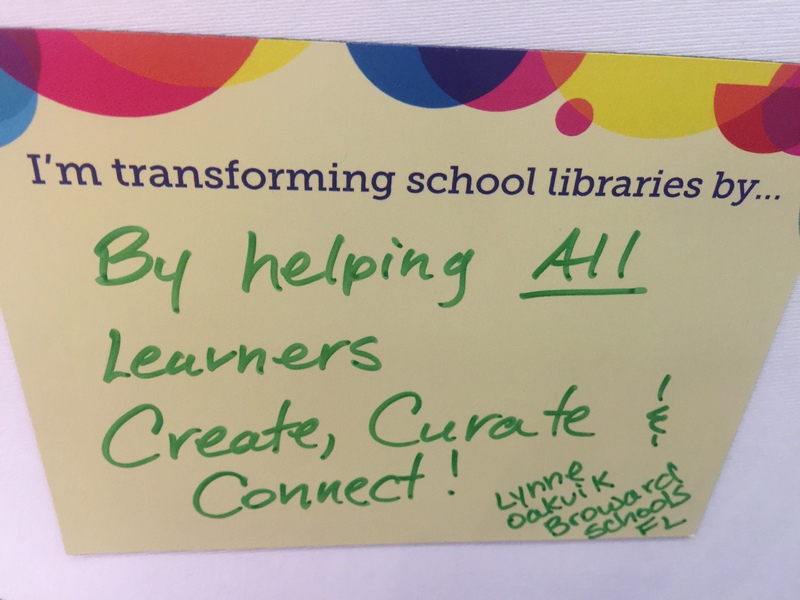 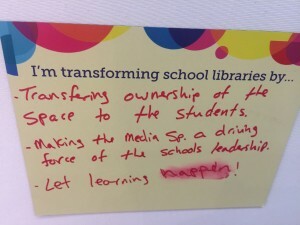 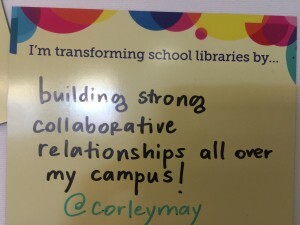 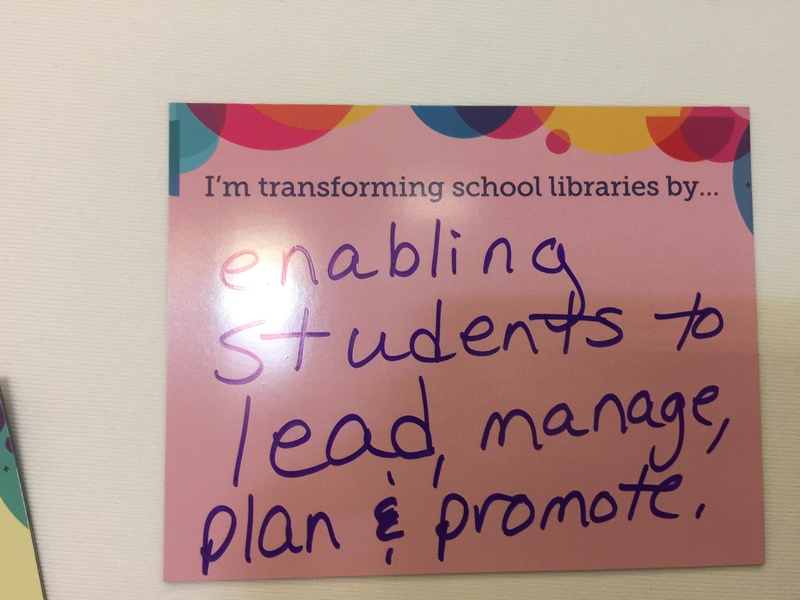 (1) by font color; (2) by types of handwriting; (3) by state (some of the librarians shared their hometown); (4) by those who left a social media trail; (5) by various levels of cutting edge ideas for school libraries in the 21st century. 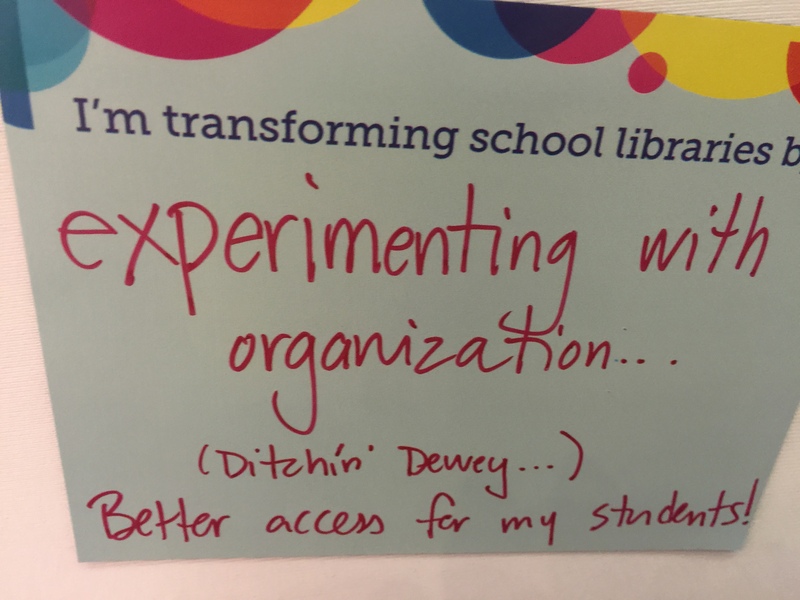 My current organization/employer encourages innovation and has informal and formal ways to share transformative ideas. 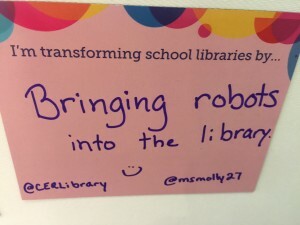 In fact, there is even a Director of Innovation. 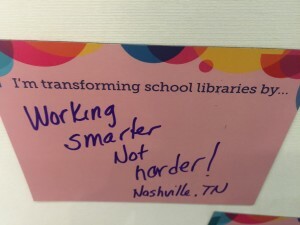 So, I started wondering how he would sort the piles… and then how the head of my organization would sort the piles. 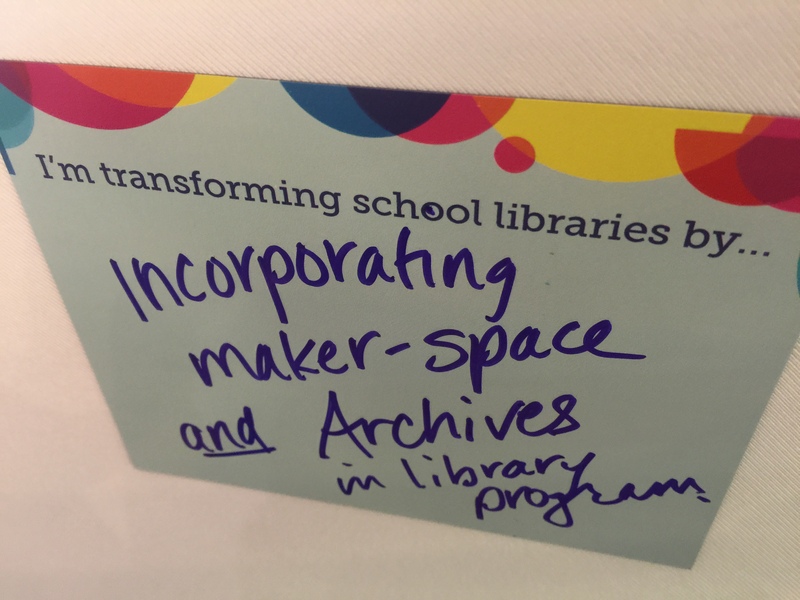 What, from the ideas below, would outsiders to librarianship find innovative and transformative (if any at all)? 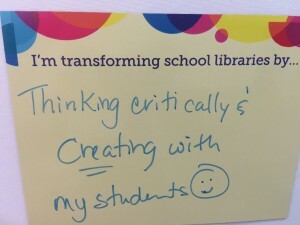 As a profession, how do we (re)package and (re)sell our ideas and philosophies for/to administrators? 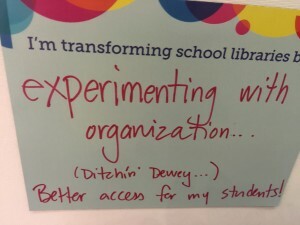 What ways are effective and what are ineffective… and how do we know? 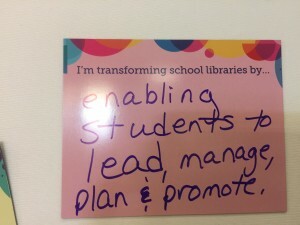 In environments where leaders are wondering (and deciding!) 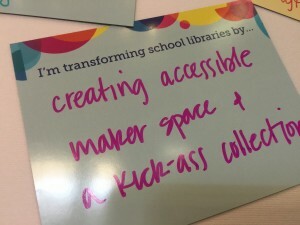 if the library is a viable space to keep in 21st Century schools, how do we customize our conversations for an audience who defines the words innovation and transformation in alternative ways? 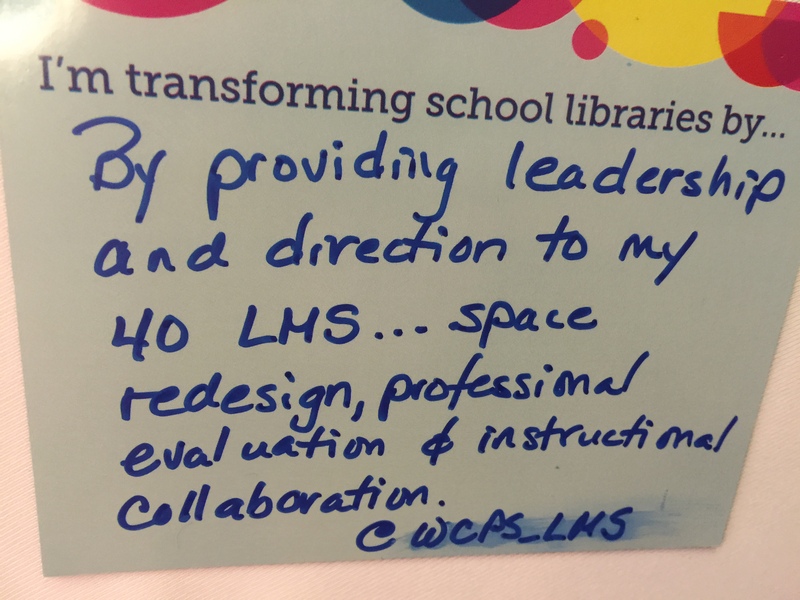 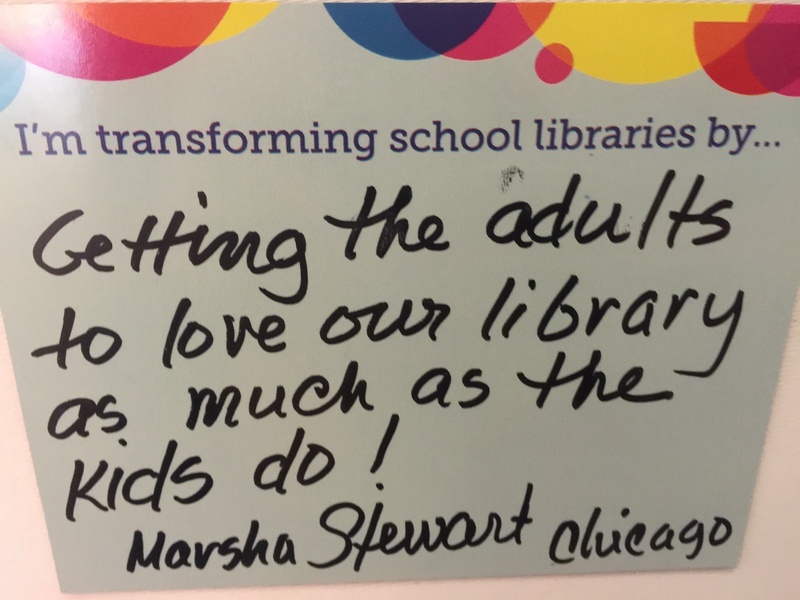 We hope you found the AASL Experience Education Evolution conference a place to grow your own ideas of innovation and transformation. The conference planners obviously had me at hello.